Revel Systems offers businesses the ability to customize their loyalty and rewards programs. 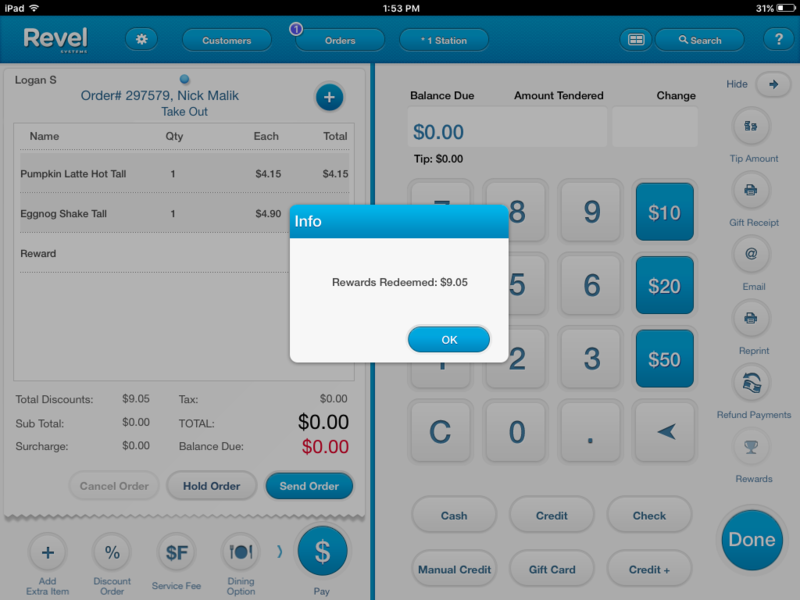 This feature gives businesses the power to create engaging programs that generate customer loyalty and increase sales. 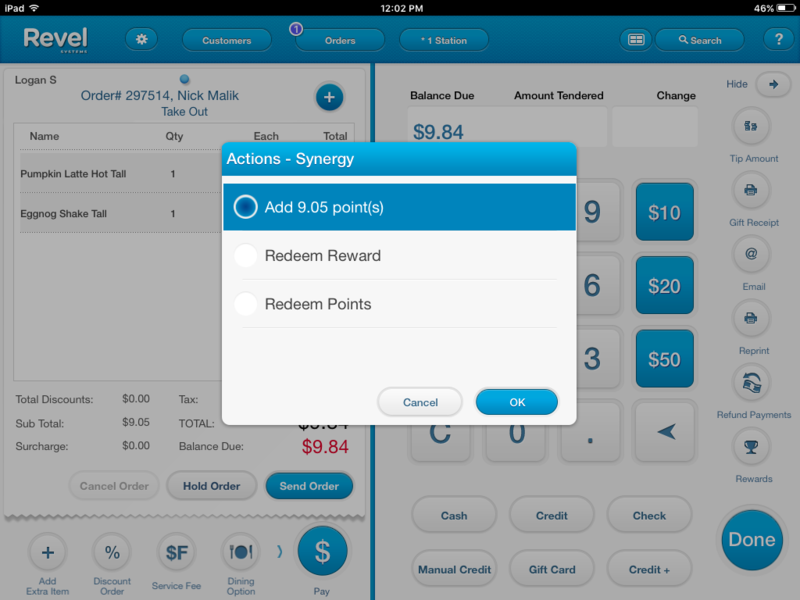 Revel has partnered up with Synergy to provide Synergy loyalty (gift/rewards) solutions that are directly integrated into the Revel iPad POS. Navigate to Setting > Gift, Rewards and Admin Cards, or key in "Synergy" in the search bar located in the upper left corner of the screen. 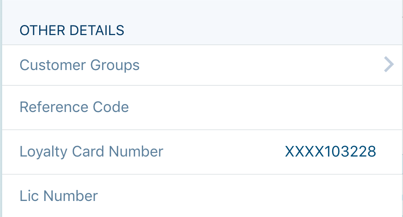 Enable "Synergy gift cards", then, fill in the required fields with the appropriate Synergy authentication (merchant credentials). Enable the "Synergy reward cards" setting. Click "Save" in the upper right corner of the page when finished. Note: "Synergy Url" field is a staff-only setting and will not be accessible to the user. 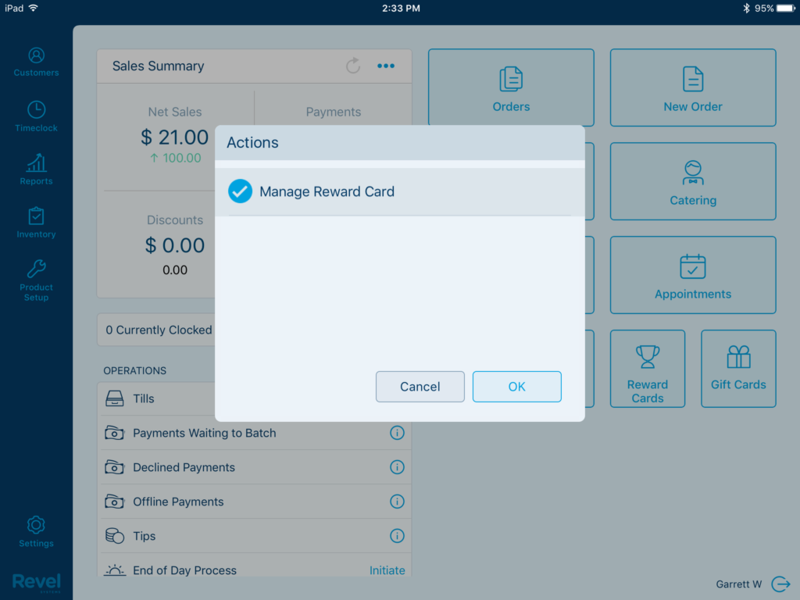 Managers and owners can allow their employees to create gift/rewards cards by enabling the "Create Gift/Rewards Card" role permission. Enabling the "Restricted Gift Card Access" role permission allows a user to create gift cards without a password. These role permissions are located on the Employees > Permissions > POS Role Permissions page in the Management Console. Navigate to Setting > Gift, Rewards and Admin Cards, or key in "Synergy" using the search bar in the upper left corner of the screen. Enable both the "Use Manual Point Redemption" and "Use Item Points with Synergy" sub-settings. This will send the total point value to Synergy. By doing this, the customer can accrue points through specific item purchases, instead of strictly through the total dollar amount of a purchase. By accumulating an "X" amount of points, the user can earn an "X" (dollar amount) cash reward. Navigate to Products > Product Details > Advanced Product Details > Rewards Options. Enter a point value for the rewards item in the "Point value" field. Enable the "Eligible for purchase rewards" setting and click the "Save" button located in the upper right corner of the page. Repeat steps 2-4 for all applicable items and click "Save" after finishing. 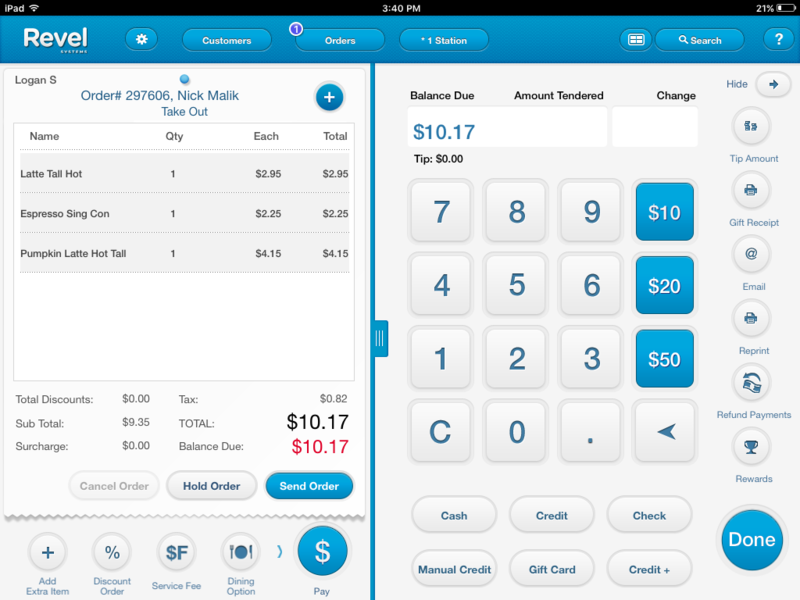 Refresh the Revel POS application. 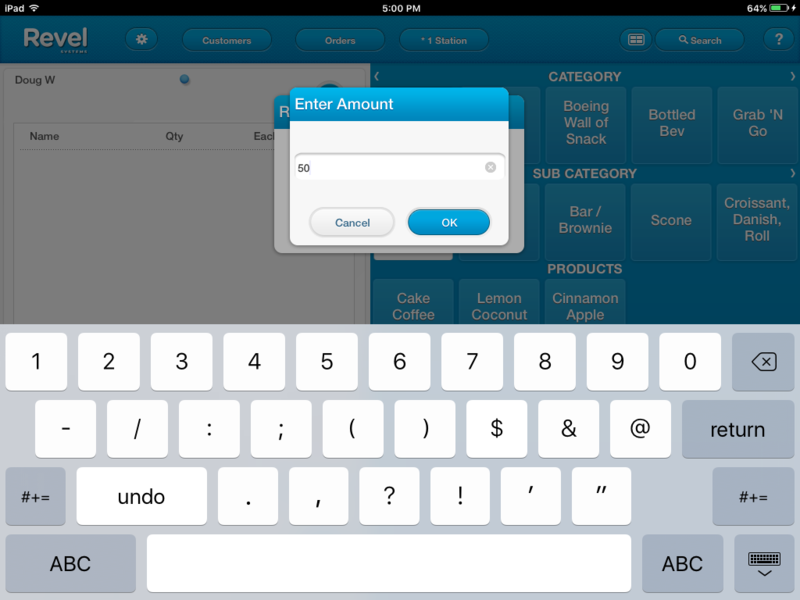 Log in to the iPad POS. Add the item(s) to the Orders screen. 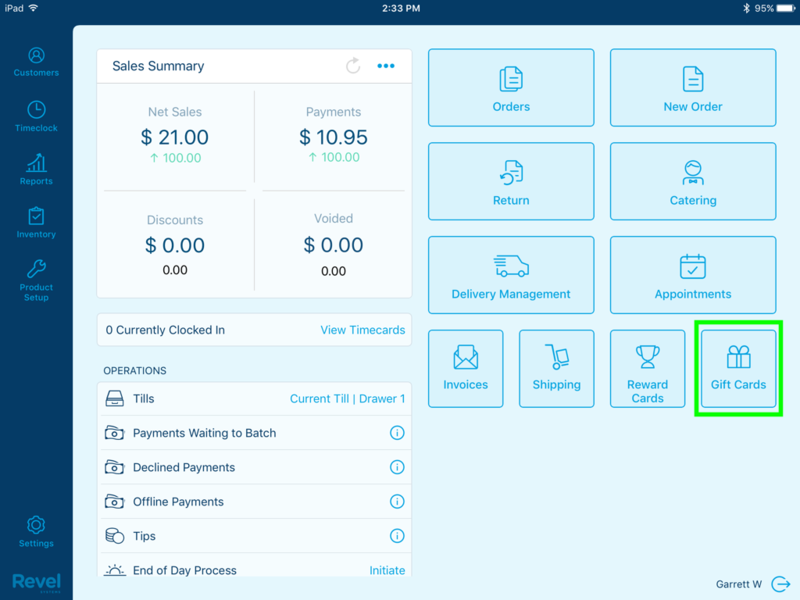 Link an existing customer to the order by selecting the customer from the "Manage Customers" list and then tap the "Link Customer" button. Enter the Synergy reward card number in the "Loyalty Card Number" field. Register the Synergy reward card by tapping the "Register Loyalty" button, as shown in the image below. The customer will receive a "Welcome" email for registering. 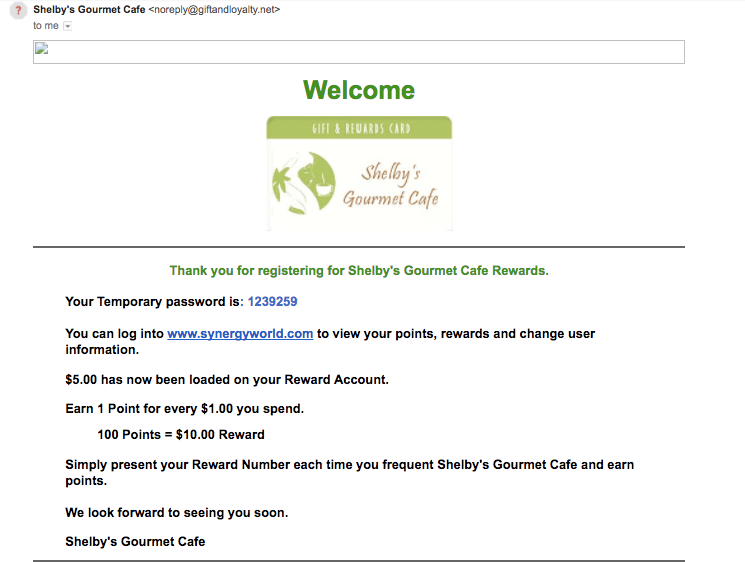 The email will include a temporary password to login and view reward points, or to change user information. Additionally, the email will include ways to earn points or rewards on purchases. Tap "Add To Order" to attach the customer to the order. Tap the "Pay" button on the Orders screen. Tap the "Rewards" button on the Payment screen. Tap "Add 'X' of point(s)" followed by "OK", as shown in the image below. 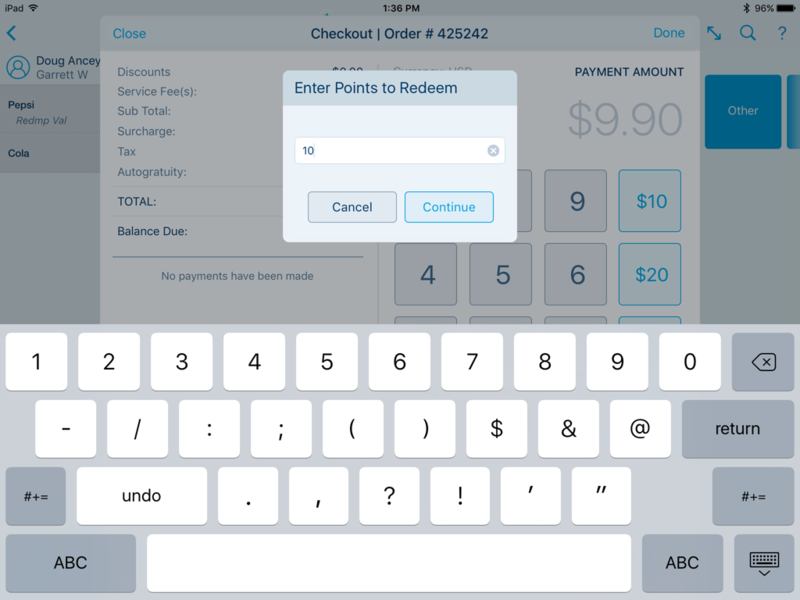 Swipe or manually enter the Synergy card number. This will then add the newly acquired points to the Synergy reward card. Tap "OK" to continue. Select a desired payment method, and tap "Done" to complete the transaction. Visit "www.synergyworld.com". Type in the Synergy reward number and click "Check your balance" to view the reward balance. By accumulating an "X" amount of points the user will earn a "X" (dollar amount) Synergy cash reward. For example, 100 points ($100 spent) the user earns a $10 Synergy cash reward, as shown in the image below. 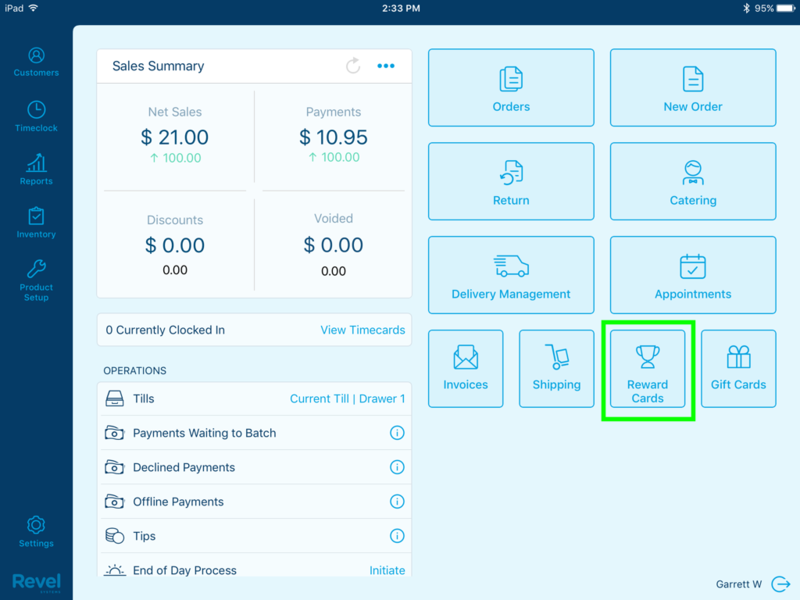 Link an existing customer to the order by selecting a customer from the list and then tap the "Link Customer" button. Link a new customer to the order by tapping "New Customer", and the "Add a New Customer" pop-up window opens. Fill in the fields with the customer’s information and then tap "Save". An "Actions - Synergy" popup window will appear. Tap "Redeem Points" followed by "OK", as shown in the image below. An "Enter Points to Redeem" window will appear. Enter the point value and then tap "Continue". For example, deducting 10 points, as shown in the image below. An "Info" popup window will appear, displaying the points redeemed and the points remaining, as shown in the image below. Tap "OK". Complete the transaction by selecting a payment method and tap "Done". Refresh the Revel iPad POS. On the "Actions - Synergy" window, tap "Add 'X' number of point(s)" followed by "OK", as shown in the image below. 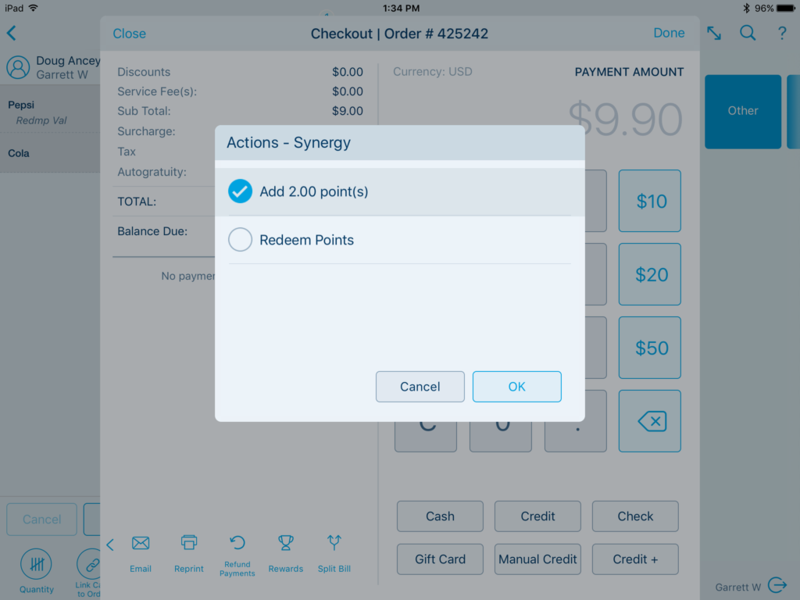 Swipe or manually enter the Synergy card number. This will then add the points earned to the Synergy reward card. Navigate to Setting > Gift, Rewards and Admin Cards, or key in "Synergy" using the search bar located in the upper left corner of the screen. Link a new customer to the order by tapping "New Customer" and the "Add a New Customer" pop-up window opens. Fill in the fields with the customer’s information and then tap "Save". Tap "Redeem Reward" followed by "OK". 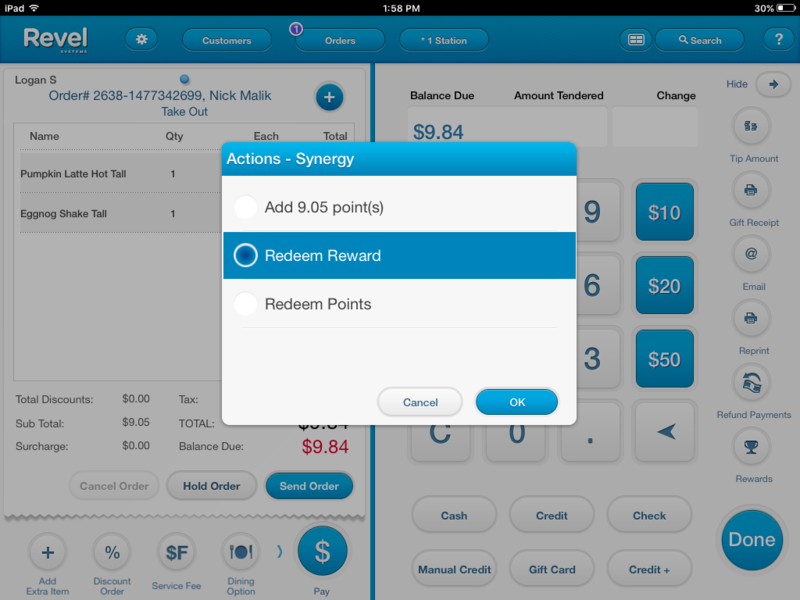 Swipe or manually enter the Synergy card number. An "Info" popup window will open, displaying the dollar amount redeemed via Synergy, as shown in the image below. Once done, the cash reward will appear on the orders screen, reflecting the reward amount, as shown in the image below. Tap "Done" to complete the transaction. Tap the settings button in the upper left corner of the screen, followed by the "Reward Cards" option on the dropdown list, as shown in the image below. 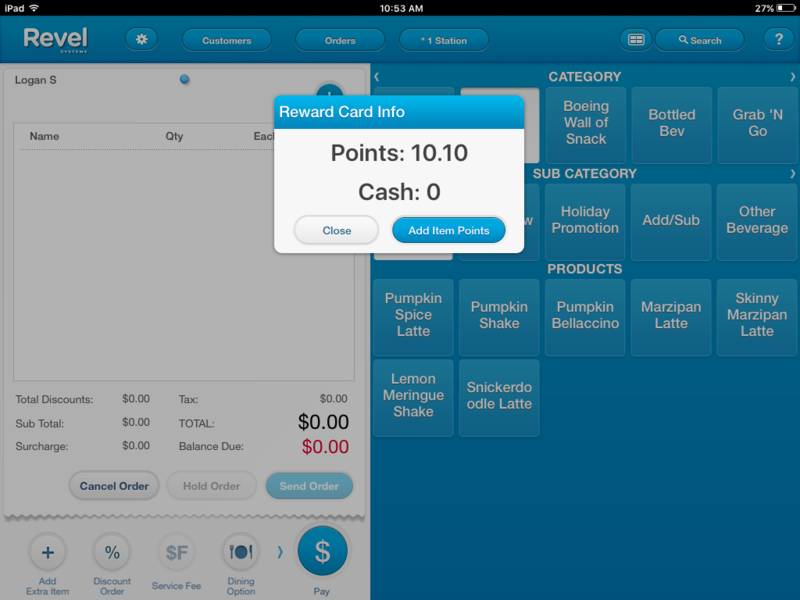 Tap "Manage Reward Card" followed by the "OK" button, as shown in the image below. Swipe or manually enter the Synergy reward card number. A "Reward Card Info" popup window will appear with the reward points balance, as shown in the image below. Here, the user may load bulk points to the rewards card by tapping "Add Item Points", followed by keying in an amount, and tapping "OK". Tap "Close" after confirming the reward card balance. Add the Gift Card item to the Orders screen. 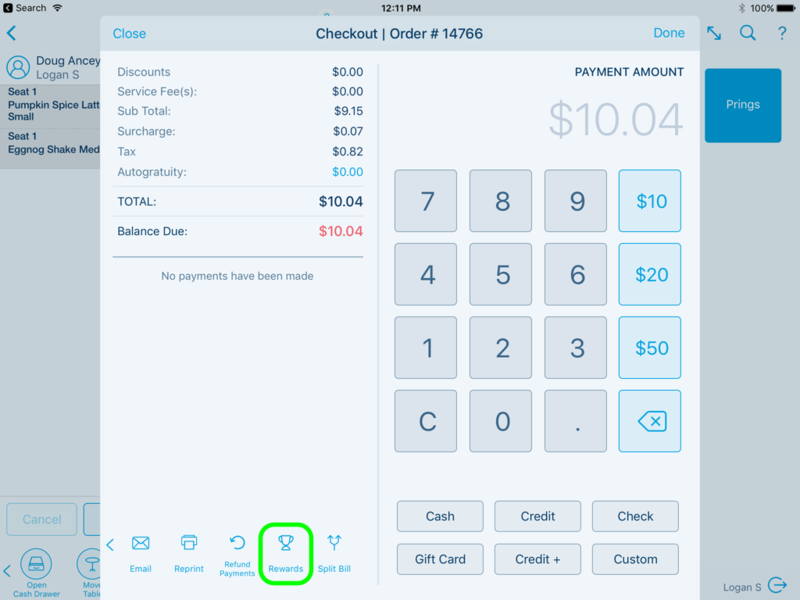 Select a desired payment method and tap its corresponding payment button. 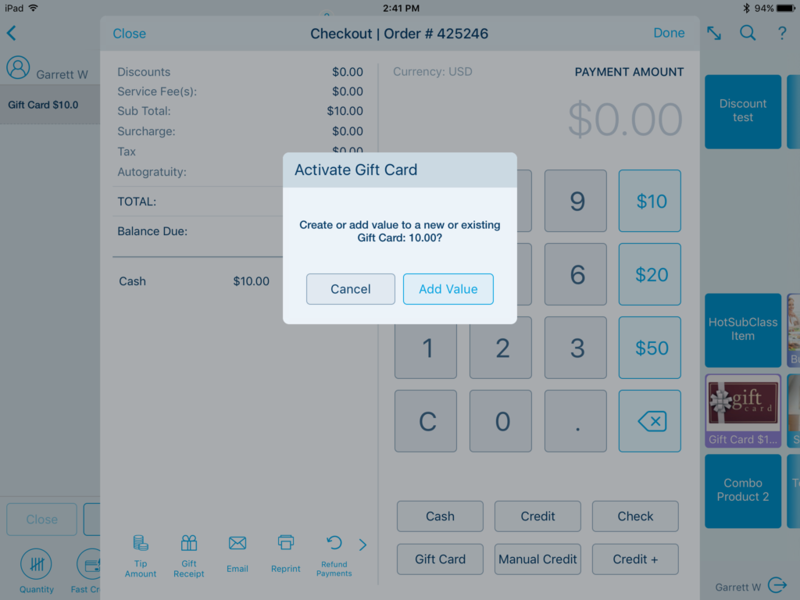 Tap "Add Value" on the "Activate Gift Card" popup window. 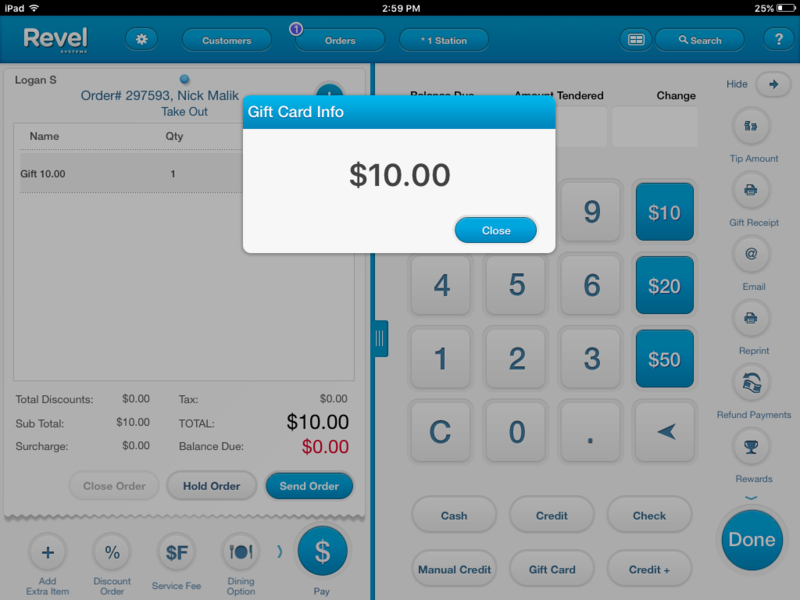 Swipe or manually enter the Synergy gift card number. A "Gift Card Info" popup window will appear with the gift card balance. Tap "Close" after confirming the gift card information. 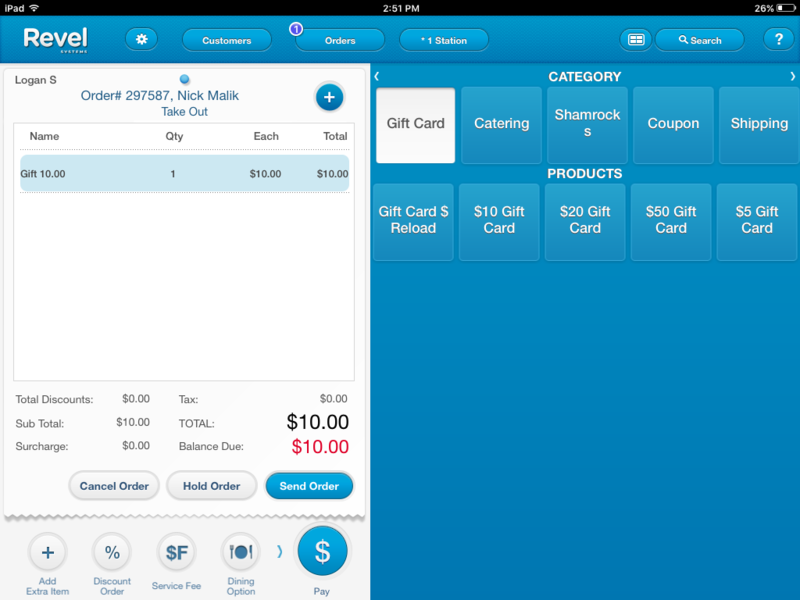 Link an existing customer to the card by selecting a customer from the list and then tap the "Link Customer" button. Link a new customer to the card by tapping "New Customer", the "Add a New Customer" pop-up window opens. Fill in the fields with the customer’s information and then tap "Save". Tap the "Gift Card" button as the desired payment method. If required, leave a tip amount. 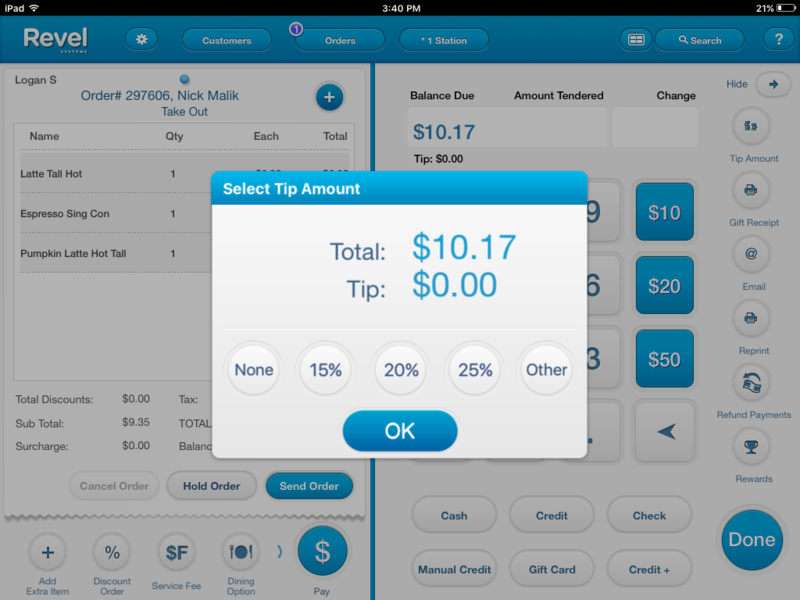 Once done including/excluding a tip amount, tap "OK". Swipe or manually enter the Synergy gift card number. If the gift card does not contain enough funds needed to pay for the balance due, an " Info" popup window will appear, alerting the user of the partial payment, as shown in the image below. Note: Once the balance due reaches zero, the system will prompt the employee to reload an existing gift card with the selected amount. Tap a payment option button for the remaining balance, and then finally tap "Done" to complete the transaction. Tap the Settings button in the upper left corner of the screen, followed by the "Gift Cards" option on the dropdown list, as shown in the image below. Tap "Manage Gift Card" followed by the "OK" button, as shown in the image below. 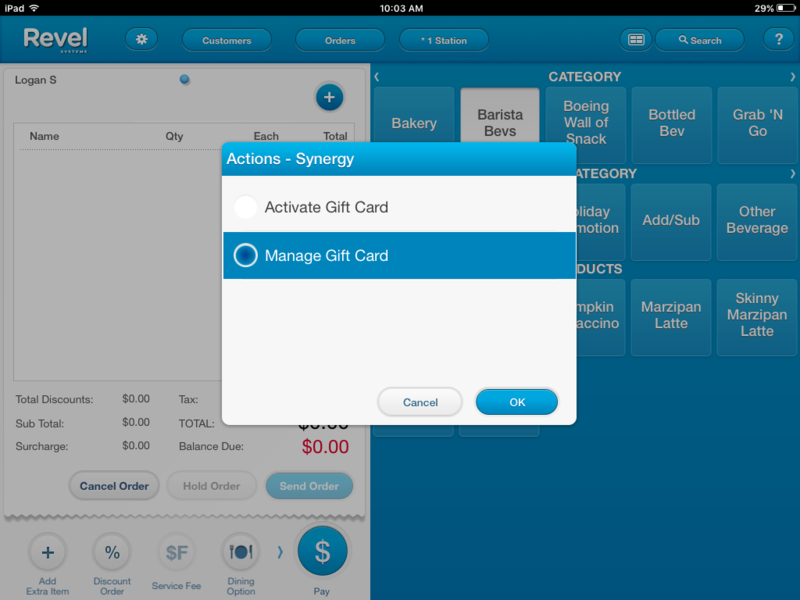 Swipe or manually enter the Synergy card number. A "Gift Card Info" popup window will appear with the gift card balance. Tap "Add Value", as shown in the image below. Enter the bulk amount in the field provided, and then tap "OK", as shown in the image below. A "Reward Card Info" popup window will appear with the added reward points, as shown in the image below. Tap "Close" after confirming the gift card balance. 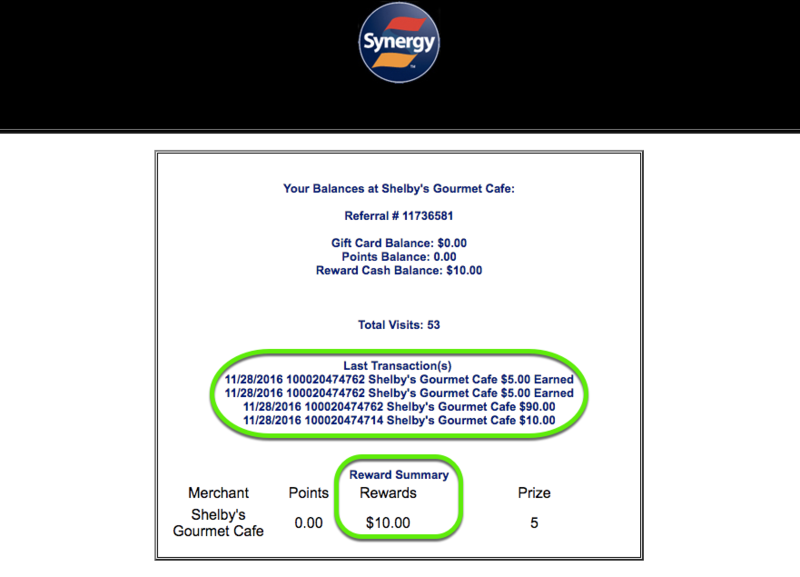 When adding money to a Synergy gift card, any load greater than $20.00 will include a 10% bonus load. For example, a 10% load bonus would then make a $30 load worth $33. 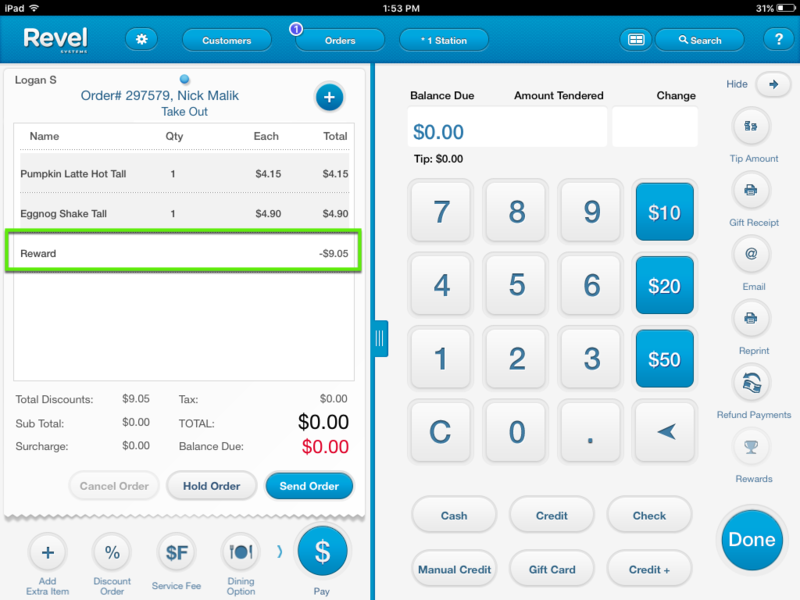 The load and bonus load amounts will appear on the receipt, split up and itemized by load amount and bonus amount. 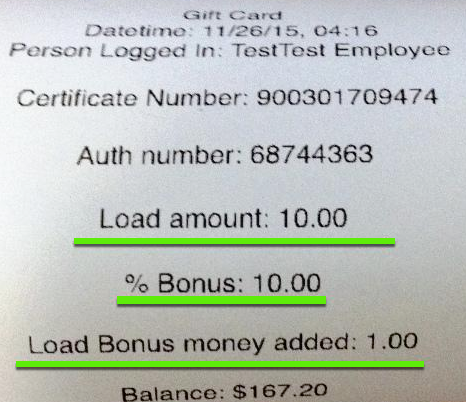 An example of the bonus load can be seen on the sample receipt shown below.